WHAT CAN I DO? Safari in Tanzania: game day drive (no night safari), photo Safari, private tours. Ruaha is a classic dry season park. Game gets progressively better towards the end of the end of the season as the water holes and rivers dry up and the game concentrates around water. Travelling to Ruaha out of season will virtually guarantee that you see no other people on safari, and there are pockets in the park where the game concentrations are good at any time of the year. The birding from December through to March is exceptional. The best time to see predators and large mammals is during the dry season is (from mid May-December). Ruaha National Park is the second Tanzania’s and Africa’s largest National Park, after Selous NP. It covers an area over 15,000 square kilometers, of untrammeled semi-arid bush, and forms the core of the thrice-larger Greater Ruaha Ecosystem, a vast block of protected areas that supports one of the largest elephant populations on the continent. 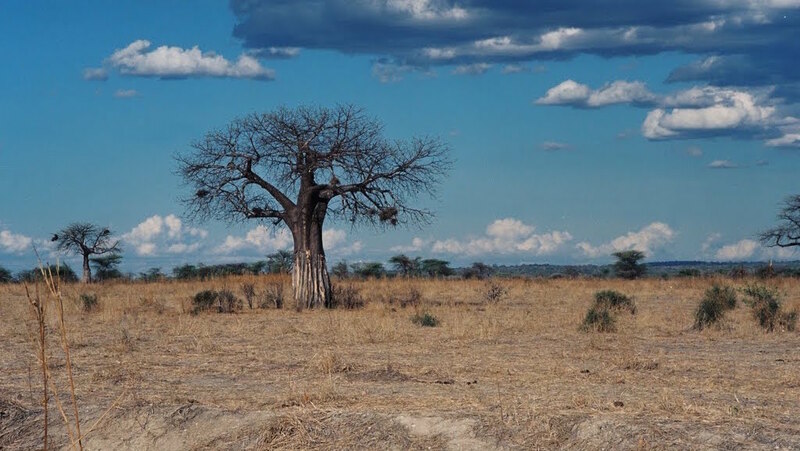 Set in the thinly inhabited heartland of central Tanzania, Ruaha National Park is ecologically rich in biodiversity, ranging from wildlife, forests, water bodies and magnificent scenery of mountainous topographic features all framed by mighty Baobabs. Encompassing a northern Rift Valley, its escarpment and the alluvial plains of the Great Ruaha River this complex and wild ecosystem is transformed from season to season making it an enchanting and memorable place to visit. 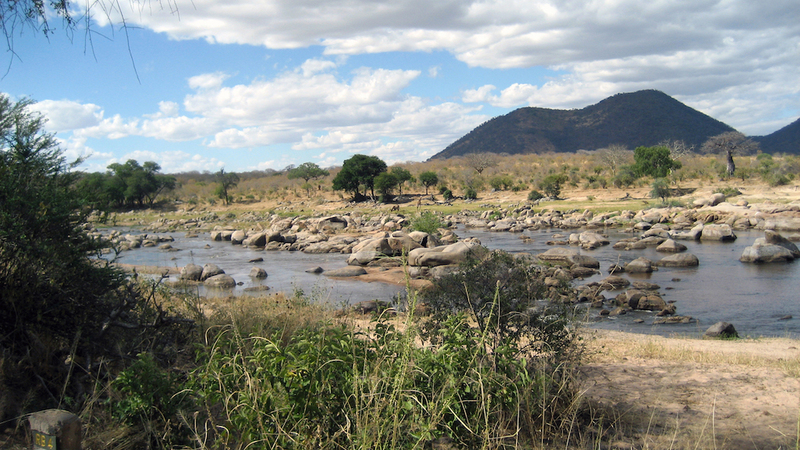 As mentioned the Great Ruaha River, along with its tributaries such as the Little Ruaha River, is the focal point of the Park as it is the main water source during the dry season along the southeast boundary. Waterbuck, impala and the world's most southerly Grant's gazelle risk their lives for a sip of water - the shores of the Ruaha are a permanent hunting ground for lion, leopard, cheetah, jackal, hyena and the rare and endangered African wild dog. Apart from large animals, the park also harbors a number of reptiles and amphibians such as crocodiles, poisonous and non-poisonous snakes, monitor lizards, agama lizards and frogs. The park is one of the Tanzania birds’ paradise with more than 571species and some of them are known to be migrants from within and outside Africa. Migrating species from Europe, Asia, Australian rim and Madagascar have been recorded in the park. Ruaha National Park is believed to have high concentration of elephants than any national park in East Africa. It is not uncommon to see Grant's gazelle, greater and lesser kudu in the same area as east Africa's common species such as zebra, buffalo, defassa waterbuck, impala and giraffe Ruaha has all the predators on show, with very good lion, leopard and cheetah as well as a good location for the endangered African wild dog, which is most often seen around the Mwagusi River. The main activity in Ruaha is daytime game driving. Night safaris are not permitted. Due to the high numbers of elephant in Ruaha some camps have chosen not to operate walking safaris. Those that do (Kwihala, Jongomero and Kigelia) have some superb guides and can offer amazing walking safaris. Jongomero is the only camp to operate fly camping trips with adventurous nights spent out under the stars. Led by their head guide Molly, these are some of the best fly camping trips in Africa.